Kate and Will have received a box of gifts from the Finnish government to congratulate them on their impending arrival. 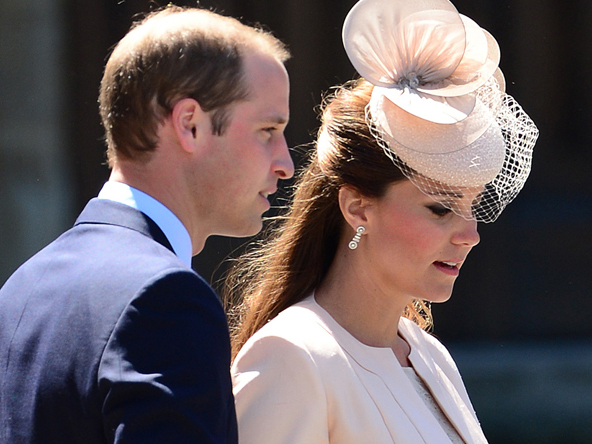 Britain's Duke and Duchess of Cambridge have received condoms to mark the upcoming birth of the royal baby. The couple were sent a box of gifts from the Finnish government via social security service Kela to congratulate them on their impending arrival, and it’s thought the birth control product is to encourage couples to have a break before planning a second child. As well as contraceptives, William and Catherine ? who’s due to give birth to their first child on the 13th of this month ? received a snowsuit and leggings to ensure their little one will be snug when the cold British weather sets in, as well as a hooded bath towel, a teething toy and nappy cream. A Kensington Palace spokesman said, "We were delighted to receive the very kind gift of the maternity package from the Finnish government. It was a very thoughtful gesture and we're very grateful for it. I'm sure the duke and duchess will be very interested to see the contents." The royal couple might be particularly interested to note the baby box ? which is handed out by the Finnish government to all expectant mothers in the country ? can double up as a crib, meaning their first child can get some much-needed nap time in a cardboard box. A spokesman for Kela said, "Kela wanted to congratulate the Duke and Duchess of Cambridge. The maternity package gained such a positive response from all around the world. The timing was perfect that the royal couple are having a baby."